W Bevan "When I came to live here, in the early twenties, my wife who had previously lived in Birmingham, found it so quiet, that she would walk down to the gate to see if there was anyone about. R Maltby "Yes I had noticed that you have an unusually long front garden; is there any particular reason for this?" WB "There was a legal battle here. The land belonged to the owner of Lowther House, and it adjoined land belonging to the local builder - Organ by name. The owner sold the land subject to a condition that it should not be built on. Organ promptly built this house for himself, and the other adjacent cottages for renting. He was then taken to court for what was considered to be a violation of contract, but he was able to prove that the houses were built on his land, and only the front gardens were the land he had bought. You will notice too that there was a well in the garden, this was the usual water supply throughout the village, and in addition, people conserved rainwater, which, after being passed through a charcoal-bed was excellent for every purpose. I had an additional supply here by taking the overflow from the stream that watered the smallholding at the Tynings. The water generally was not good mind, and mains water was laid to this house in 1939." RM "This seems rather late for a modern amenity". WB "I suppose it does, but electricity sewage, and telephones were later still. You see there was not much money about then, and these amenities had to be paid for. I can tell you there was a great deal of opposition to all these schemes". RM "What were the most interesting forms of transport you have seen on the Shurdington Road?" WB "Well, I remember the first motor-bus that used the road, it bad solid tyres and carried about 16 passengers. It started from St. James' Station in Cheltenham, and travelled to the Falcon Inn at Painswick. And then there was a Mr. Theobald of Bournside Road Cheltenham and a Colonel Lloyd Harford, both of whom regularly ran a 'coach and six' along the road, just for fun. RM "What worries you most about the recent development in the village?" WB "Without doubt, the cutting down wantonly of so many wonderful old trees. I suppose the only big trees still standing are the cedar in Mr. Hitchs garden, and the elm tree in the grounds of Shurdington House, which used to be called Pool Farm because there used to be a pool in front of the house". RM "In days gone by, villages used to be self-contained and people seldom had to 'go to town'. Do you remember any local craftsmen?" WB "Oh yes, we had a builder, Alf Organ, and there was a blacksmith next to where the new Cleveland Petrol Station now stands. The blacksmith here was Tom Twinning who lived down by the church. There was another forge behind Whitminster House, manned by John Pick - a real character he was, with a great beard. He was a wheelwright as well. I always remember the advice he used to give on growing cabbages and parsnips. 'If you wants to grow cabbages and grow 'em quick, you wants to hoe 'em once a week' . 'If you wants to grow parsnips and grow 'em great, you wants to plant 'em when they plants the wheat. We had our shoe repairer too - he lived and worked at Irving's Cottage - now Woodbine Cottage, and you had to go down two steps when you went in the cottage, or you'd bang your head on the beams". RM "I believe there used to be another Public-House in the village besides the New Inn (Ed: Now the Cheeserollers) and the Bell Inn?" 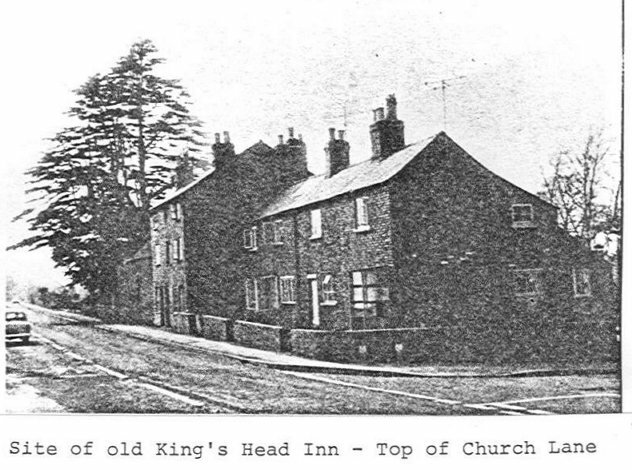 WB "That is so - there was the King's Head where we have the King's Head cottages now, at the corner of Church Lane. It was a cider house, and at the back there was a clubroom, which was used amongst other things as a meeting place for the Parish Council. Mrs. Sophie Fry, was the last licensee, and she used to have a parrot that was taught to swear. RM "I suppose that the events of the last war had their influence on life here as in most other places?" WB "Oh yes, tho the Parish Council of the time did not believe that the war would last many weeks and were not interested in the appeal to grow more food, or to form an A.R.P. Unit (Air Raid Precautions Wardens). With regards to the former, I approached a Major Harrison of Chargrove and with the help of Mr. Goulding, Mr. Jones, Mr. Hall, Mr. Fletcher, Mrs. Palmer and others, we formed a Shurdington and Badgeworth Food Production Club, and we held our first show at Shurdington Court in 1941. This was the start of our Gardening Society and I was its secretary for about 21 years. Concerning the second matter, I was made Chief Warden by the Gloucester Authority, and we formed an A.R.P. Post in a building belonging to Shurdington Lodge, which stood where the new Esso Petrol Station is. The highlights of our activities were challenging an army sergeant whom we suspected of being a spy; holding up at pistol-point a Chief Inspector of Police who was travelling in a car with headlights on while enemy aircraft were overhead; and being taken prisoner by the army pioneer corps at Badgeworth Corner near Churchdown, when I went to ask them why they were shining so many lights when they collected the canisters of oil that they used for putting up smoke-screens. Then of course there were the evacuees - 250 of them - which was good going when you realise that there were only 455 people living here then. The evacuees came from London, Eastbourne and Birmingham". R.M. "How was the village served by doctors in the past?" W.B. "When we first came here, there was a Doctor Moore who came over from Churchdown in a horse and cart, his driver always wore an old army overcoat, and he had a partner Dr. Foster. They were joined by Doctor Lowrie, who died only recently. In the difficult years of the 1920's, these doctors did much work without payment." R.M. "You have seen the social life of the village grow with the increase in population no doubt". W.B. "Yes - I told you about the Gardening Society. A long time before that, in about 1921, the Village Hall project began. This was the conversion of an old barn in Church Lane. Money was raised by voluntary subscription, and the work done with local labour. As the money came the work was carried on - major items were the roof and the floor, and the stage was added later. The management of the hall was put in the bands of a Trust Committee. The present Social Centre (Ed: now demolished and replaced by the (Century & Millennium Halls) has been many things. It was built in 1940 as an Agricultural Worker's hostel, but was first used to house Italian prisoners of war, then later German prisoners, later still, Land Army Girls and finally some low-mentality Irishmen. 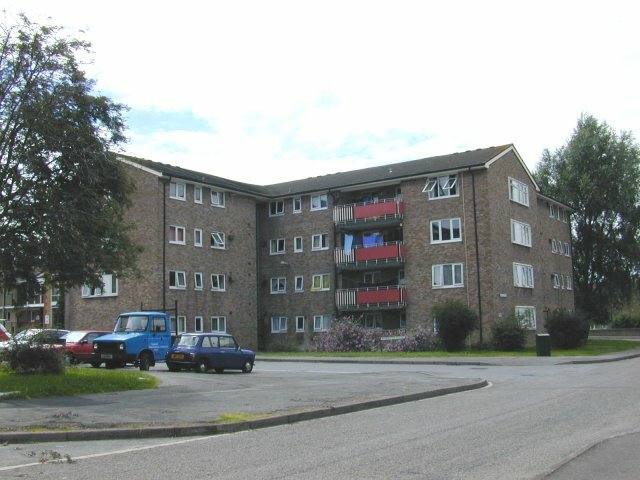 On being abandoned by the Ministry of Health, it was leased to the Parish Council, and developed as a Social Centre. R.M. "Yes that is so, and now I must thank you Mr. Bevan, for allowing me to talk to you about 'Old times. It has been most interesting to one of the 'newcomers'.